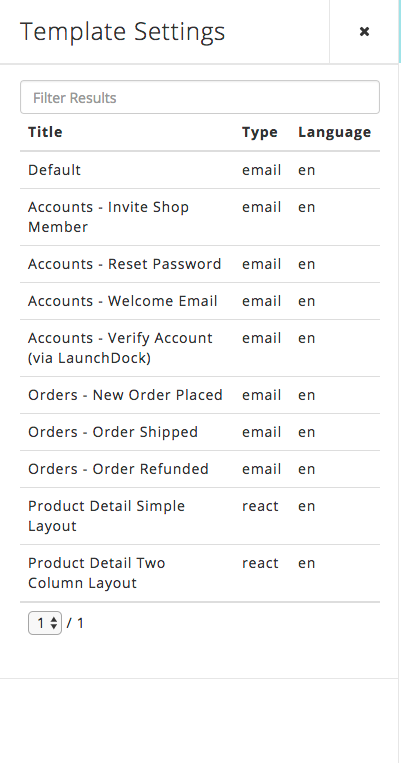 Reaction comes preloaded with email templates that are sent out with various user actions, such as Password Resets, Order Completion, and Shipping Notifications. These Templates are loaded into the Templates collection on startup. Details about this process are found in the Developer Docs. The Templates are then available to be customized inside your Dashboard. You can edit an email's subject line, title and basic content with HTML. Click on the Templates to get started. Subject: The email subject line. Blaze variables are allowed, granted they are passed to the server-side rendering function (see Developer Docs). HTML: The main content of the email. Blaze variables are allowed, granted they are passed to the SSR function (see Developer Docs). Language: Language of the email. Currently, only the shop default is available.